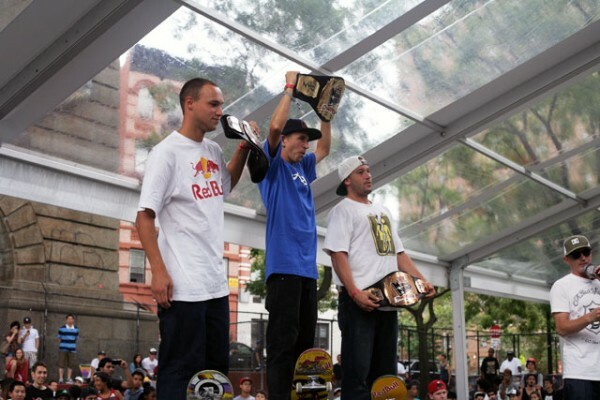 Joey Brezinski did it again, winning his fourth Red Bull Manny Mania today in NYC. He’s got 10 Gs, a new belt, and we’re goin’ out tonight to celebrate! Sewa Kroetkov came in second with Brandon Biebel in third. Video and more photos coming soon!